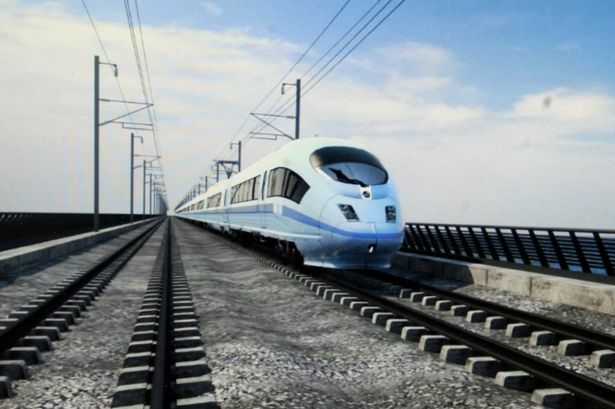 Campaigners waging a legal battle against the Government&apos;s high-speed rail project HS2 - with the latest legal challenge concerning the London-Birmingham section - are due to learn the result of their latest action. Objectors have warned that large areas along the route could be unnecessarily hit by a costly planning blight for an indefinite period. They have asked the Court of Appeal to rule that the Government has unlawfully failed to carry out a strategic environmental assessment (SEA) which might help to alleviate problems being caused by the flagship scheme for local people and businesses. Appeal judges will announce their decision following a hearing last month. At the hearing, David Elvin QC, for the campaigners, told three judges that his attack was centred on "safeguarding directions" which were made by the Transport Secretary to protect Phase One land from local authorities giving permission for other, conflicting developments. Mr Elvin, representing the HS2 Action Alliance (HS2AA) and Hillingdon Council in west London - which are both campaigning against the current scheme - said "generous" areas of land extending beyond the route were protected because they might be required for temporary storage of spoil, or for compounds, work accesses or other functions in relation to the project. The land had been included without any proper debate or assessment of environmental impacts or alternative options, he argued. Mr Elvin said: "The effect of this is to blight development in the land covered by the direction for an indefinite period - and without an SEA which might have enabled the impacts to be minimised or avoided." In August campaigners suffered a blow when High Court judge Mr Justice Lindblom rejected their call for an SEA. They have asked Lord Justice Longmore, Lord Justice Sullivan and Lord Justice Lewison to overturn that ruling. A Department for Transport spokesman said at the time of the hearing: "HS2 is a vital part of our long-term economic plan and we are confident that the decisions on it have been taken lawfully and fairly. "Attempts to obstruct HS2 have already been repeatedly and firmly rejected by the courts and we will vigorously defend this latest appeal." He said: "We urge interested groups to work with us through the parliamentary process - not waste money on costly legal challenges."